This example is a P-39Q of the 72nd Fighter Squadron 1944. There's and updated version of the P-39 Airacobra. It's called the P-63 Airacobra.And according to my intense studies, the L-39 is a swept wing version of the P-63. thats some interesting WW2 Research for ya! XD you don't have to! I know your point. I read all the time about airplanes in books. 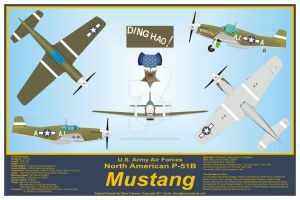 P-63 Kingcobra! XD Never misread your studies! It's one of the few fighters from that time that actually has good visibility while landing & taking off, that's really something. And the gun does nice stuff in the flight sim.